Cambridge, UK and Pittsford, NY – 30 July 2014: For industrial sales engineers whose clients expect keen project pricing, time is of the essence. But quality and clear, professional project presentations are equally important. Are 3D layouts a realistic goal when you have a day to create a proposal? 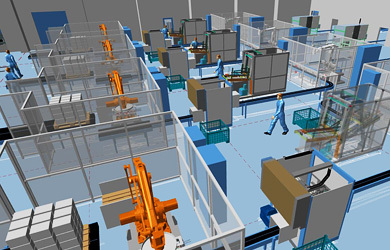 For packaging systems provider Mariani and poultry and game processing plant provider Verderio Impianti the answer is a big ‘yes’. 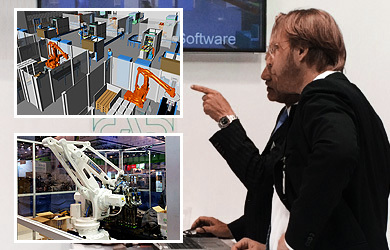 Both forward-thinking firms invited CAD Schroer to demonstrate the MPDS4 Factory Layout software at their stands. 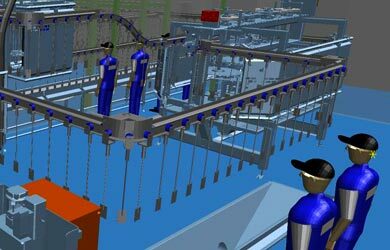 This allowed their sales engineers to understand the value of 3D project proposals, and demonstrate projects designed with MPDS4 to end customers.